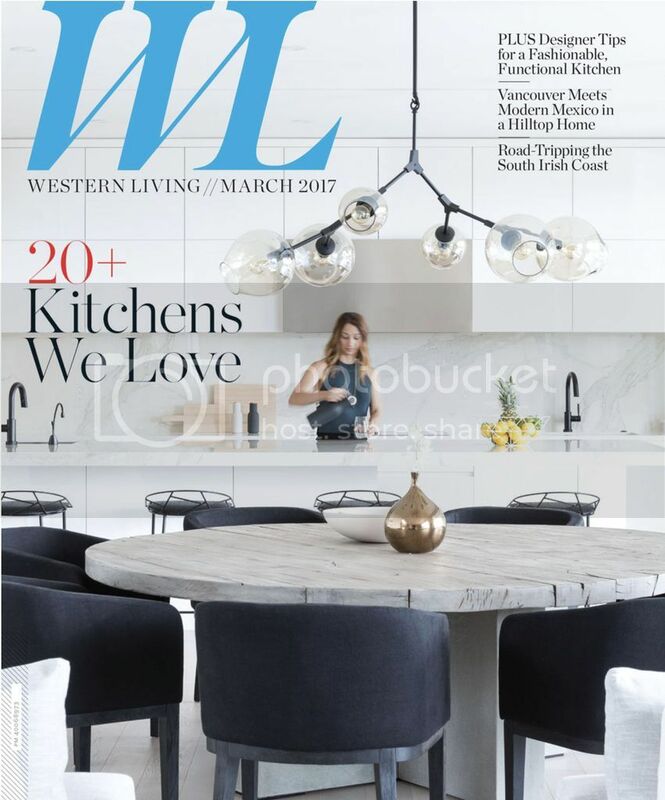 When Western Living decided to feature our Alpine project (new build) on the front cover of their March issue for "20 + kitchens we love" we were pretty excited to say the least. Working on this kitchen was a great experience for us. We used a light Scandinavian pallet and designed some interesting architectural details to create a big impact. The kitchen island for instance has an open area on the end that can double as a dining area seating up to 6 stools all around. We imported the hood fan from Italy to get the right look and also purchased top of the line appliances to create the ultimate dream kitchen for our clients. Sergio, the chef of the house and yes he is a great chef, we know this first hand;) had a big say in the layout of the space to ensure it fit his requirements when cooking for large dinner parties and family events.